Her fans love the way she speaks her mind. She has just written an advice book called Ask Wendy, where she gives her characteristically direct answers to a wide range of questions that have to do with life’s dramas. 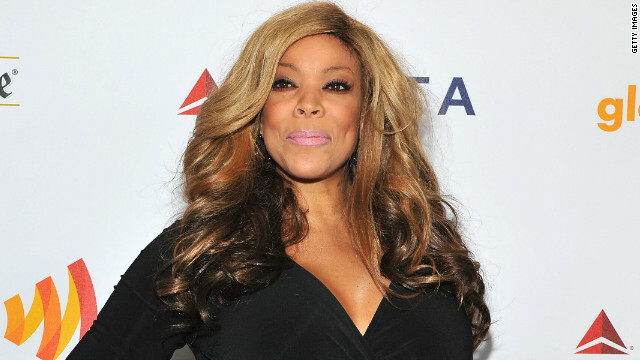 Even though Wendy’s not a singer, she’s about to have her Broadway debut in the musical, Chicago, doing the role Queen Latifah nailed in the movie version. She destroys with the way she has patiently built her career over nearly three decades, from radio host to TV host, to author, to Broadway star. She destroys the myth of the 18-49 demo because, like so many bright, energetic, ambitious women and men of a certain age, she is more influential now than she’s ever been. So please allow me to introduce you to a major celebrity I’d never heard of before I spoke to her for this CNN Profile. Useless trivialities. Forgettable singers with 15 min fame. this is not left vs right, GOP vs Dems, Socialism vs liberty. This is war against White people.